At ACS AUTOWERKS our team is ready to take your call, there are a number of ways you can contact us at ACS AUTOWERKS. The easiest way is to pick up the phone and give us a call. Alternatively you can drop us an email or request a call back by leaving your name and number and a suitable time for US to call YOU. Once you have got in touch our work can begin. One of our helpful staff will be on the other end of the line to help and guide you. By asking you a few simple questions about yourself and your vehicle we will gain a better understanding and will be able to advise you on the best course of action depending on which will be most beneficial to you and your vehicle. You may have called us just to ask a few questions and we are more than happy to give out good advice! When the day arrives that you have booked your vehicle in with us we will go through your requirements with you one last time and discuss any other queries you may have. In some cases we will able to provide you with a courtesy car or depending on time and work situations, we may be able to offer you a free drop off and pick up to a public transport station or even to your work or home within a reasonable distance. Always remember to put your locking wheel nut and service book on the front passenger seat before work begins. Before working on your vehicle our technicians will be informed by the service manager about the work that has been set out for your vehicle. 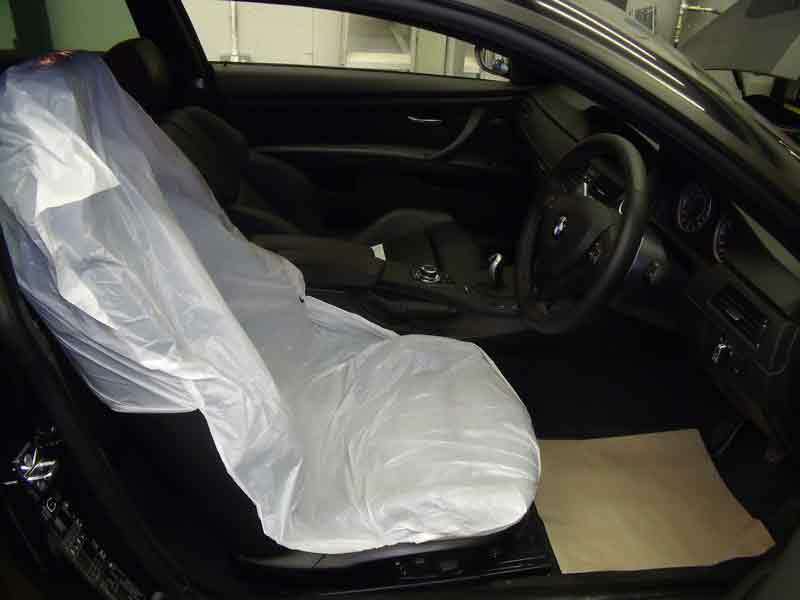 The Technician will then fit the necessary covers over the seats and floor of your vehicle to protect it while being driven. The vehicle will then be brought into the workshop and placed in one of our state of the art service bays and carefully lifted onto the ramp. We only use top of the range Zippo ramps for their quality and low entry height enabling us to service even the lowest of sports cars. Once on the ramp the technician is free to check all the necessary ancillaries on your vehicle such as the lights, wipers, doors, heaters and air conditioning. Everything is checked and ticked off on the vehicle specific service schedule and any problems are reported to the service manager. The car is then raised to a medium height and all four road wheels are checked for wheel bearing wear and then removed to allow our technicians to inspect the wheels for tyre irregularities and wear. With the wheels removed our technicians can now check the suspension including ball joints, bushes and steering components. 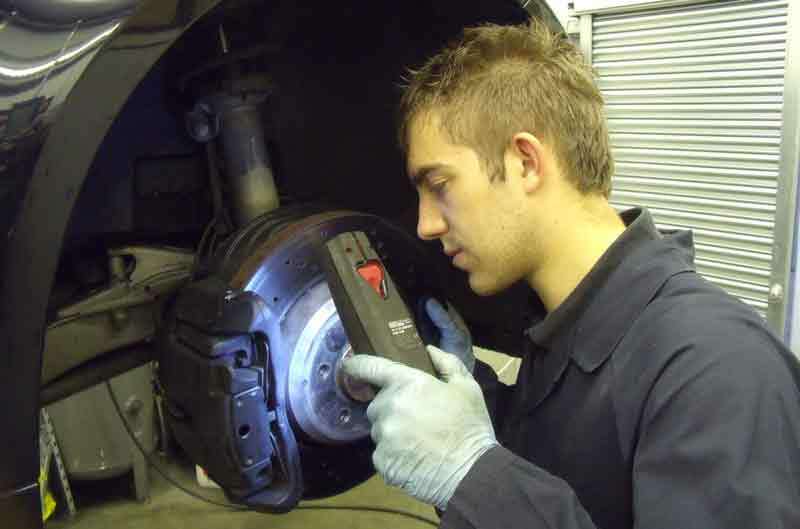 At the same time our technician will also perform a thorough brake check examining all the parts from the calipers to the sensors and advising of any parts that are worn and should be replaced. Once the vehicle is raised to its maximum height our technicians will get to work examining the underside and chassis of your vehicle. This enables us to check all the necessary fuel lines and brake lines. 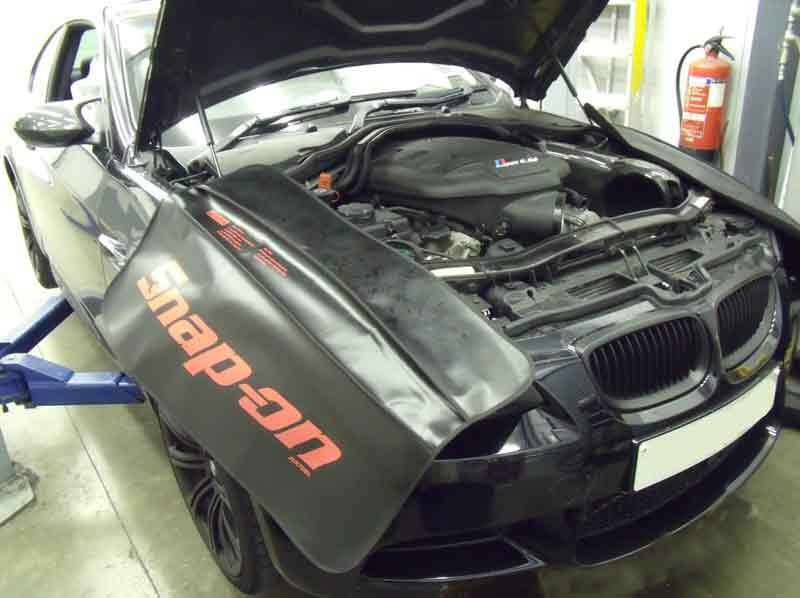 Also checking the engine and gearbox for damage and signs of leaks, at the same time our technician will be checking the exhaust system for leaks and checking the mountings. Finally a good look around for any other defects that may be apparent. 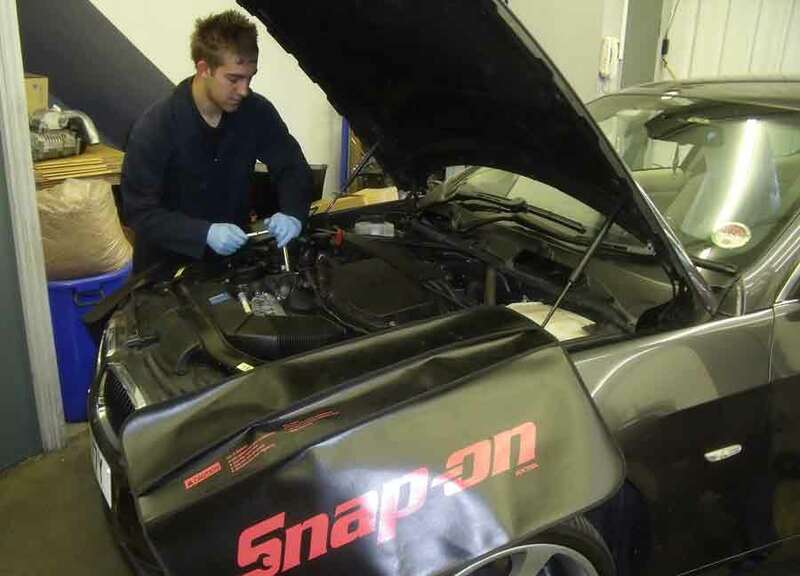 By completing these tasks first it allows us to get a full oversight of the condition of your vehicle. We will then be able to contact you if necessary to discuss any further work and of course ask permission for the additional work to begin. All costs will be discussed before ANY work has been started. By this time our technician will have completed part of the service procedure by draining the oil and changing the agreed service parts. Other parts will be lubricated where necessary and torques checked. Once the major service work has been completed a few more checks are made to ensure your vehicle comes back to you in perfect condition. The tyre pressures are set and adjusted correctly and the handbrake adjusted if necessary. Next comes the wheels, these are fitted with anti-corrosion lubrication to stop the wheel bolts seizing up in the hub. All four wheels are then torqued up to the correct setting. This will also help you if you get into trouble and need to change a wheel. The final quality control check is to test drive the vehicle, After all work is carried out we test drive all vehicles to ensure our work will satisfy you the customer. We have a dedicated route that we use around the local area. With the test drive complete our technician can now hand the completed service schedule to the service manager who will begin calculating the final costs and writing your invoice. He will then contact you to let you know your vehicle is ready for collection. While this is happening one of our technicians will be giving your vehicle a clean using the correct methods and cleaning agents making it look its best, ready for when you arrive. When you arrive to collect your vehicle we will be able to go over your invoice and answer any questions you may have. 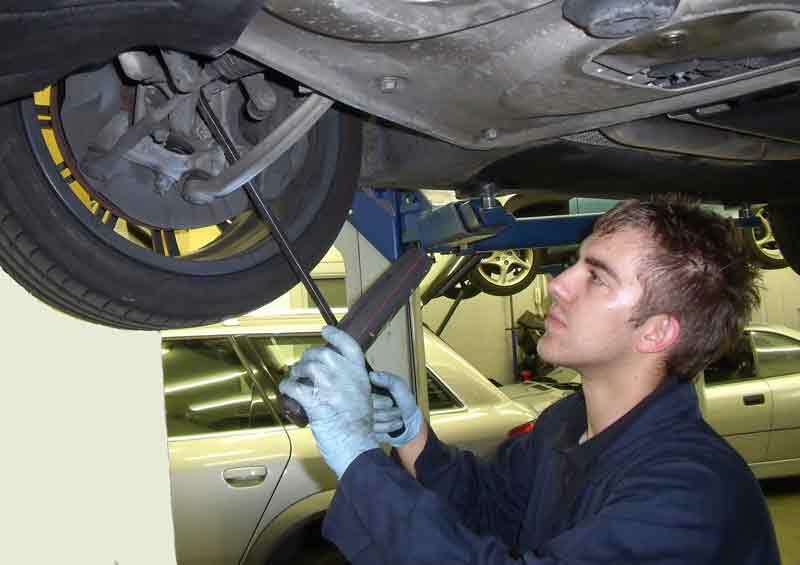 The service manager will also give you any advice on the future maintenance of your vehicle. After payment is made you will be given your keys and you can enjoy your car's new lease of life. This confidence is why our customers come back, time and time again. 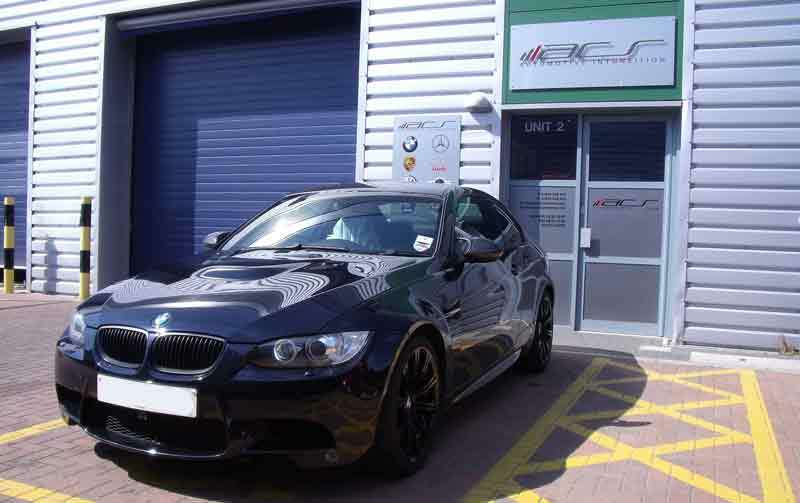 Looking after performance or prestige vehicles is a speciality for us, this is why we have included some short videos in this section to show you how we perform a oil service with an additional flush. This Maserati is owned by one of our long standing and loyal customers, when the time came for the oil serivice we recommended a full engine flush to accompany the oil change. In this first video you can hear that upon start up the engine sounds quite rough and takes a long time for the running to smooth out. Draining of the sump reveals how little oil these cars actually have in the sump when not running. Due to the dry sump design the majority of the oil is stored in a seperate reservoir alongside the engine. As you may notice the Maserati has two oil dran plugs, this is because it uses a dry sump design to allow the engine to sit low in the chassis and therfore both the oil reservoir and sump pan must be drained. This is positioned behind the front lower undertray. Draining of the oil reservoir. Refitting of the sump plugs and resrvoir drain plug. The engine flush process involves draining the car of its original oil and refilling the car with a specific flushing oil that is formulated to grab onto dirt and contaminents. Once the car is refilled it is run for period of time to allow the flushing oil to do its job and get to a high working temperature. Once we deem the car to have run for long enough the oil is drained and left to ensure all the flushing oil is removed. We then refill the car with the correct oil to the correct level, checking the level a number of times after a test drive if necessary. Checking Oil level is a high priority in a performance car, as you can see it needs to be checked several times.